Agosto 2010 nasce in Calabria Il Centro di Documentazione Invictapalestina. Some of us wonder what the activism, especially the international activism, represents today. The strategies which guide the macro-politics lack reference parties and movements. Moreover, the numerous analyses on crisis areas are rarely followed by interventions. But the issue is even more complex. It seems that nowadays the activism has been narrowed to a particular kind of activism, the one of “solitary cavaliers” who support a certain campaign following individual patterns. In the past, this modus operandi was rooted in some particular ideologies –such as the anarchy for instance – and was countered by collective ideas and projects. These latter are represented by those deeds marking the history of classes and communities; by what Gramsci, in a letter to his son Delio written in the prison, described as “… everything concerning human beings, as more as possible, all the human beings in the world who join together to shape communities and work and fight for improving themselves” (A. Gramsci in Letters from Prison). In other words, as Gramsci claimed, the productive engagement aimed at bringing positive changes needs voices, arms, minds, hearts (in the plural) taking distance from all forms of individualism. Of course this is not easy but for more than one century this has been the mainstream approach endorsed by activists. Activists who still consider this approach the only viable path, a kind of activism emblem, cannot understand the role of solitary activists who avoid any kind of collaboration. They prefer to act- or better to show off- in a kind of “solo” that would be certainly more efficienti if the solitary activists joined other activits involved in the support of the same campaigns. We do know that sometimes we part ways. Fine. But we do like to reflect on principles. We do like to reflect on different horizons of meaning of the people who are still able to place a common goal before their ego, to share this goal and to think together to establish common and better strategies; to transform the “me” in “you”; who are still able to live the gift of the activism – which sometimes become a real turmoil – not as a personal challenge, but as a shared transformation’s project. In which the individual can nourish his soul and values countering his naural egotism. The documentation center aims at promoting the collection, the research, the knowledge and the divulgation of paper and electronic documents and videos focused on the history of Palestinian people. Il Centro di Documentazione ha lo scopo di promuovere la raccolta, la ricerca, la conoscenza, la divulgazione, di materiale cartaceo, informatico e video sulla storia del popolo palestinese. 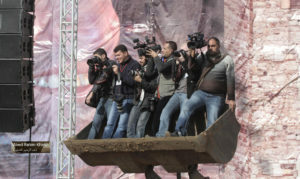 Let’s start with the images of our website which are all shots and/or artworks of Palestinian artists. We’ve used five images to represent our work. 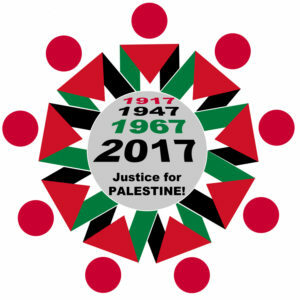 Incominciamo con le immagini del nostro sito che sono tutti scatti e/o opere di artisti palestinesi. 5 immagini per rappresentare il nostro lavoro. 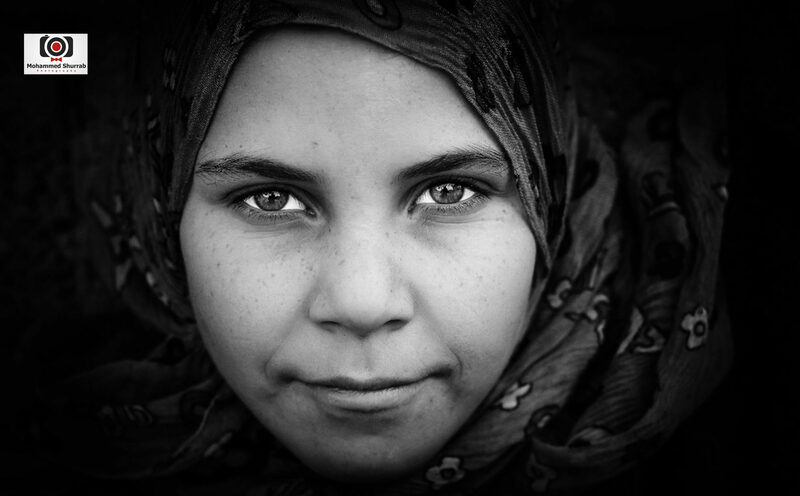 The image in the homepage is a shot by the photographer Mohammed Shurrab who lives in Gaza Strip. L’immagine di copertina (Homepage) è un formidabile scatto del fotografo Mohammed Shurrab che vive nella Striscia di Gaza. Followed by a shot by Abed Rahim Khatib which is the background of our blog “Information is resistance”; he lives in Gaza Strip as well, in the city of Rafah. Segue uno scatto di Abed Rahim Khatib, che fa da sfondo al nostro BLOG: l’informazione è RESISTENZA, anche lui vive a Gaza nella città di Rafah. The 3rd image is the background of the space dedicated to the Invictapalestina’s goals. It is a painting by the artist Ahmad Yaseen. He is in his early 20s and he lives in Nablus. 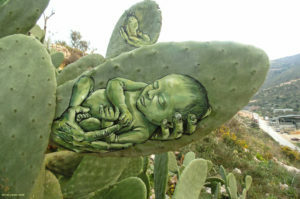 The artist, besides painting on canvas, carves his artworks on prickly pear plants. 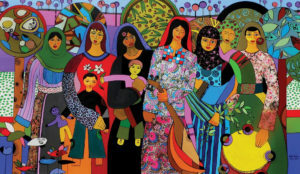 The 4th image is an artwork by Dena Mattar, from Gaza as well. La quarta immagine è un’opera di Dena Mattar anche lei di Gaza. 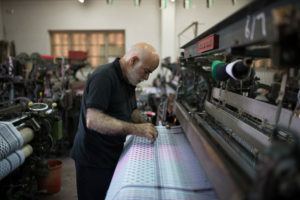 The 5th image is the interior of Hirbawi Factory in الخليل, al-Khalīl (Hebron), showing one of the several faces of Palestinian resistance, the one occurring through memory and traditions. La quinta immagine è l’interno di Hirbawi Factory a الخليل, al-Khalīl (Hebron), un altro aspetto della RESISTENZA Palestinese attraverso la memoria e le tradizioni. Quin­dici telai lavo­rano inin­ter­rot­ta­mente pro­du­cendo un fra­stuono mec­ca­nico assor­dante. Impos­si­bile comu­ni­care senza dover urlare, ma gli ope­rai non sem­brano farci caso: cono­scono bene i loro com­piti e non hanno biso­gno di par­lare tra loro se non nelle pause per il tè, sem­pre dispo­ni­bile, ben caldo, in un ser­vi­zio arran­giato al cen­tro del grande capan­none illu­mi­nato dai neon della fab­brica. Tes­suti di vari colori e fan­ta­sie fuo­rie­scono dai telai, men­tre gli ope­rai pas­sano da una mac­china all’altra con in mano un sem­plice col­tello da cucina per eli­mi­nare le pic­cole imper­fe­zioni del prodotto. Imma­gini di Yas­ser Ara­fat cam­peg­giano un po’ ovun­que nello stan­zone della fab­brica. Una gigan­to­gra­fia del lea­der pale­sti­nese acco­glie i visi­ta­tori nello shop adia­cente i mac­chi­nari. I ritmi scom­po­sti dei telai arri­vano tal­volta a sovrap­porsi. Per alcuni istanti sem­bra che i mac­chi­nari cer­chino di accor­darsi, tro­vare una velo­cità comune e allora, nell’aria, regna un senso di sospen­sione, di attesa. Pochi attimi, poi tutto torna all’abituale chiasso che accom­pa­gna i lavo­ra­tori della Hir­bawi Tex­tile Factory .